. Published on April 12, 2017 . Welcome to Stout Magazine, the multi-media publication that celebrates success by exploring the pathways to achieving it. 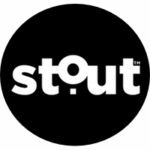 Stout – in the Bold, Brave and Determined sense of the word – is where we humanize brands, fuel innovation, and encourage purpose-driven lives. Each week we share stories of success from around the globe to fuel you on your journey. These invaluable lessons are served up in bite-sized takeaways to learn from, and implement in your own life. From the accomplishments of global thought leaders to the unsung success of everyday folks, we all have much to learn from one another. Global thought leader Brett Hurt generously shared his success journey at Stout Magazine’s official launch event earlier this month. Over the coming days and weeks ahead, we will share these insights, and, through the process, learn more about the personal characteristics that helped Brett get to where he is today. We’re just getting started, so we invite you to be part of our journey, The STOUT team is committed to being an invaluable source to help you carve your own pathway to success. So fuel up, implement what resonates, and look around to those in your daily life to help BRING YOUR STOUT OUT! Dive in right now, and enjoy learning about a time that Brett Hurt was BOLD, BRAVE, and DETERMINED.